SupChina has partnered up with a group of media and travel outlets to provide a special sweepstakes through the end of this month. 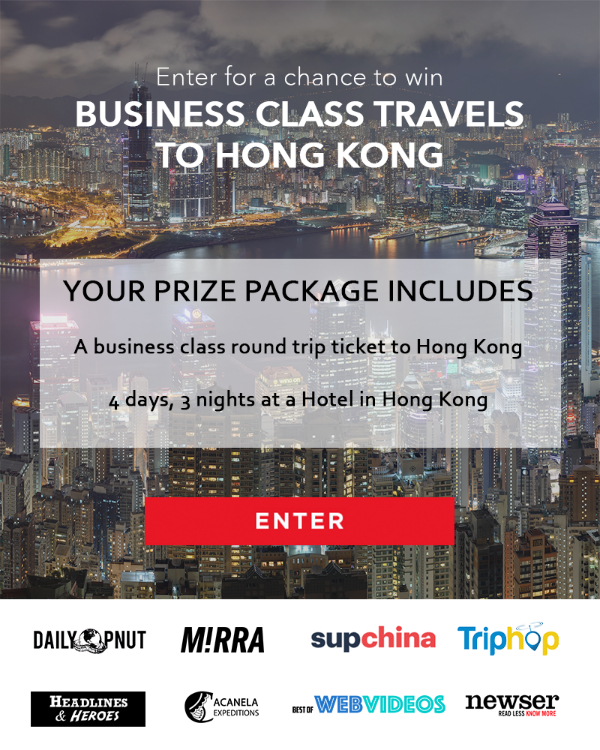 It is an email sweepstakes with a big prize: free roundtrip BUSINESS CLASS tickets to Hong Kong (worth $7,500), cash, and lodging. Click here or the image below for more information!